Priced from 383,000 Baht (INR 7,26,410) in Thailand. 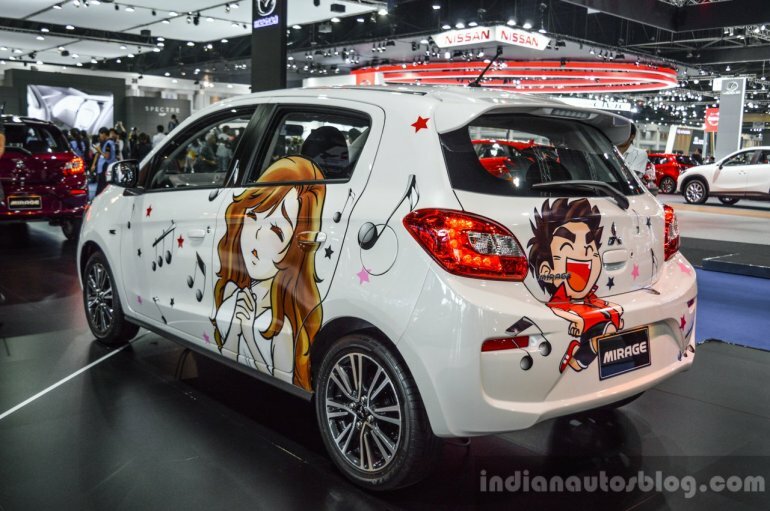 Mitsubishi is showcasing the 2016 Mitsubishi Mirage (facelift) at the 2016 Bangkok International Motor Show. Launched in Thailand at the 2015 Thailand International Motor Expo, the facelifted Mitsubishi Mirage has an updated design and is equipped with many new features. 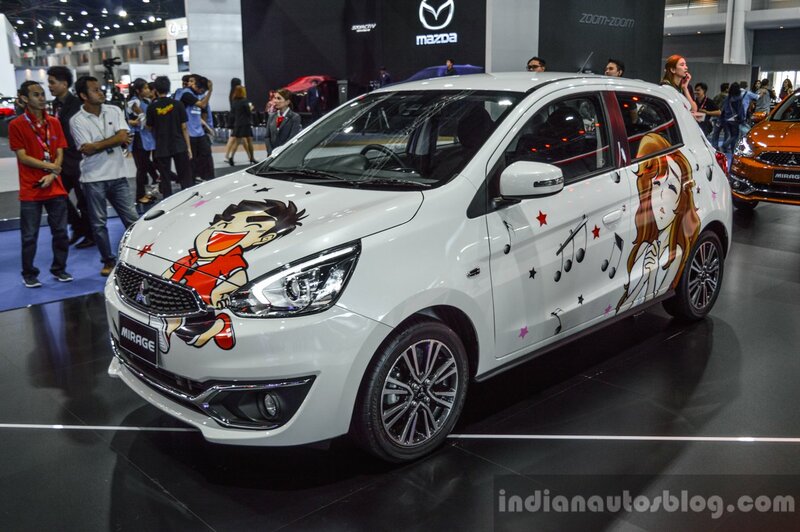 The 2016 Mitsubishi Mirage's exterior and interior has been updated with design concept of 'the Spicy Small'. Exterior visual changes include restyled bumpers, chrome garnish on the upper and lower grille, resculpted bonnet and tweaked headlights and taillights with the latter incorporating LED lights. Bi-Xenon HID headlamps with spectrum LED position lamps are also offered on the higher trim levels. Three new choices have been added to the colour palette Wine Red, Sunrise Orange and Titanium Grey. 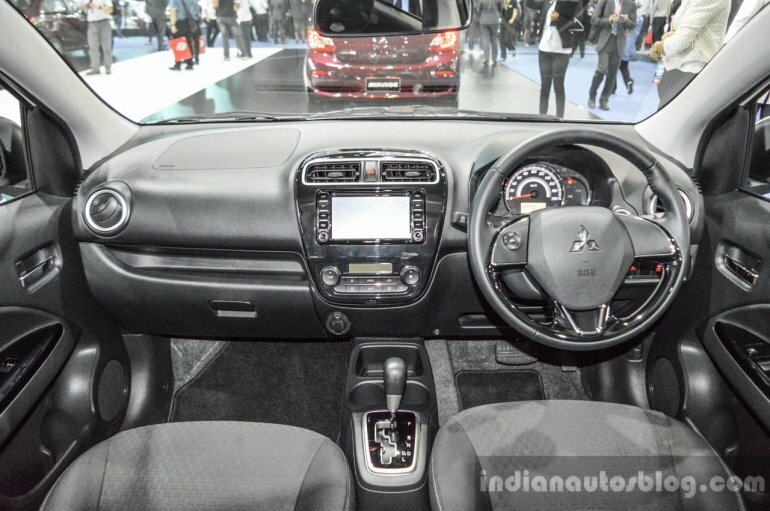 Inside, the 2016 Mitsubishi Mirage has a black interior theme. The centre console, power window switches and gearshift knob are finished in Piano Black. New three-spoke, leather-wrapped steering wheel with chrome and piano black finish, new illuminated semi-high contrast combination gauge cluster and new seat fabrics with silver stitching make the interior look more upmarket. Forward Collision Mitigation System and Radar sensing Mis-acceleration Mitigation System are also offered now, which Mitsubishi claims, are segment-firsts. The 2016 Mitsubishi Mirage is powered by the 1.2-litre MIVEC three-cylinder petrol engine that produces 78 hp and 100 Nm of torque. New technologies such as Diamond-like carbon coated piston ring, Low friction Timing Chain, and Multistage Generation Control with IBS (IBS-Intelligent Battery Sensor) have been added to reduce the friction in the engine compartment. Transmission choices include 5-speed manual transmission and INVECS-III CVT transmission with INC (Idle Neutral Control) and G-SENSOR.